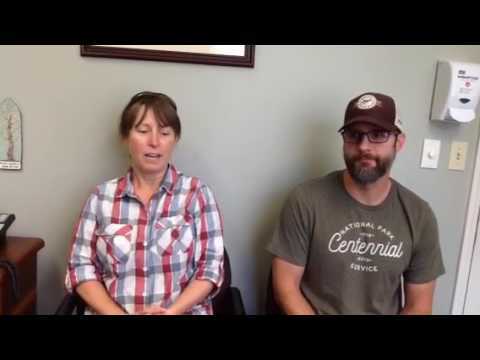 "I came to Fairview Chiropractic with a pinched nerve in my lower spine. I had been struggling with this issue for 2 years. I had tried physical therapy, with no results. After getting treatment at Dr. Reilly's office, I have less pain in the morning when the pain is usually at its worst. I would tell anyone to review all their options and consider chiropractic!" "For 3 years, I had burning and stinging in my feet. I couldn't walk very far, and my balance was bad. 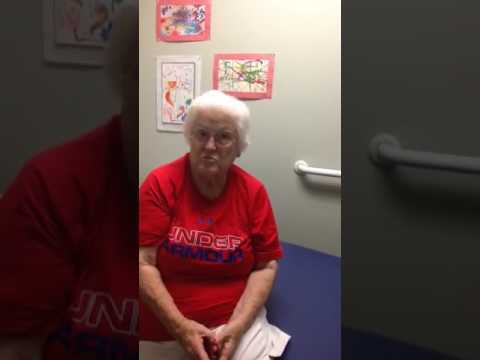 After undergoing Dr. Reilly's neuropathy treatment, the burning and stinging have subsided, I can walk and stand longer, and my balance is better. I have also noticed that my stress is less and my ED symptoms have improved. I would recommend this treatment to anyone - it works!" Katie woke up with severe lower back pain. Within a day or so of her first treatment, her pain was under control. "I woke up one morning with severe lower back pain. After getting an exam, I started on a treatment plan of adjustments, traction, and electrical stimulation. Within a few days, my pain was under control, and after only a few weeks, I was completely pain free! I am now back in the gym, able to lift heavy weights! My treatments are helping to keep me pain free and living the active lifestyle I love!" 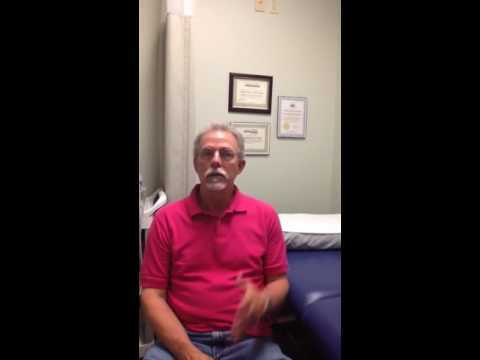 "For several years I had pain in my right knee. When I came to see Dr. Reilly, he treated me with his different therapies so that I could avoid knee replacement. When he started treating me with Trigenics, I started to get relief from the knee pain. Because of the Trigenics, I am pain free and can get back to the activities that I have avoided because of the knee pain, like walking." "I can never thank you enough, Dr. Reilly, and your staff, for your wonderful care. You got me through the last 5-6 years with treatment, kindness, and patience. I was able to walk comfortably again, and that has been my life’s greatest pleasure. May God bless you richly." "I started the Ultra Slim sessions at the end of April. I completed 10 sessions and today I am on a maintenance program. The results have been that my stomach is flatter, I have no more bra fat, my hips are firmer, and my thighs are thinner. My clothes fit better so that a larger size of clothes that I had in my closet are now gone. I highly recommend Ultra Slim to anyone who wants to lose not only inches, but pounds. " "For about two years I had this sharp stabbing pain in my feet that only lasted a few seconds. After about a year and a half of this pain, I started having numbness in my feet and they stayed cold all of the time. I had read about chiropractors that had successfully treated Neuropathy. My wife searched on the internet and luckily found Dr. Reilly. After just a few treatments my feet started having better circulation and were no longer cold all of the time. Also, the stabbing pain became less and less over time. I am now nearing the end of my recommended treatment sessions and I am well satisfied with the outcome of my treatment. I would recommend Dr. Reilly and his staff to anyone suffering from the pain and numbness of Neuropathy. He and his staff are very professional, courteous, caring and dedicated to what they do and that is to help relieve pain and suffering." "When I first came to your office, about 9 years ago, I was in chronic pain in my neck, back and shoulders. Unfamiliar with chiropractic at that time, I was initially apprehensive but you helped me feel at ease right away and within a few short weeks of treatment, I was pain-free. What a relief! My life was instantly improved. Periodic adjustments over the years have kept me on track. Your compassionate care coupled with state-of-the-art technology are a winning combination. Thank you so very much for your compassion, care and expertise. You’re the BEST! And I am so grateful that, with your help, I can live pain-free. Thank you!" "I had been suffering from lower back pain for over three months and the drugs I was taking to ease the pain, were not helping. Seeing a chiropractor helped me in multiple ways...I don't have the back pain anymore, I can bend over better, and most importantly, my attitude has changed. Thanks to Dr Reilly, I'm less crabby! I suggest anyone with similar conditions, visit a chiropractor!" 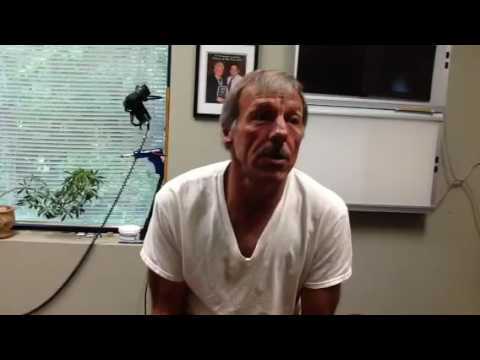 "I came to Fairview Chiropractic Center and Dr. Reilly with severe pain in the left side of my lower back. The pain started after I had spent several hours on the computer in an awkward position. For the pain I took too much pain killer, which resulted in an intestinal bleed. I was hospitalized and in ICU for that. I complained of the back pain and they took an x-ray in the hospital and it showed arthritis. Again, pain medications were prescribed, however they only helped temporarily and after my ICU stay I was looking for an alternative. Dr. Reilly was highly recommended to me. I made my first appointment with the Fairview Chiropractic Center to hear Dr. Reilly’s diagnosis and to learn what his plan for me would be. His choice of procedure and scheduling has improved my condition considerably. I would tell others to choose a chiropractor very carefully, as I did. I would most definitely recommend the Fairview Chiropractic Center with its professional staff." "How could I have imagined what was in store for me the morning I got out of bed noticing a slight discomfort in my left buttock. Over the course of the day it didn't go away as I had hoped but also seemed no worse so I didn't dwell on it. Thinking I had slept in some position to bring it on, I hoped the next nights rest would make it go away. The second morning, the discomfort was more distinct, with slight pain down my leg so I decided to see the chiropractor who has helped me with previous back pain problems. 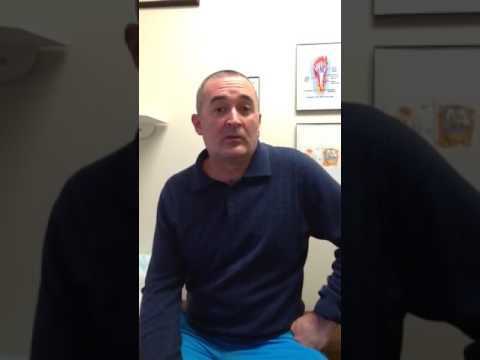 Dr. Reilly did an assessment through various bending, stretching and reaching exercises and said the problem was not in my left leg but in the lower back, (L-5 disc) which is fairly common and treatable. I began regular chiropractic treatments including electro-stimulation and adjustments, later adding decompression traction. The pain down my leg progressed steadily as a particular nerve became severely affected. Sitting was nearly impossible leading Dr. Reilly to do an x-ray which showed a more difficult problem with the disc. He advised me to see my family doctor. Along with continued chiropractor treatments including now a cold laser, my family physician ordered pain medication and an MRI. We decided the problem could be corrected without surgery, so we reached out to a Carolina Spine specialist for further expertise. With epidural steroid injections and on-going chiropractic work, this team approach has been very beneficial and I am feeling almost "all the way back". I commend Dr. Reilly for his warm, caring professional work throughout. It is fortunate for people in the Fairview area that we can partake of his services and rely on his expert advice." 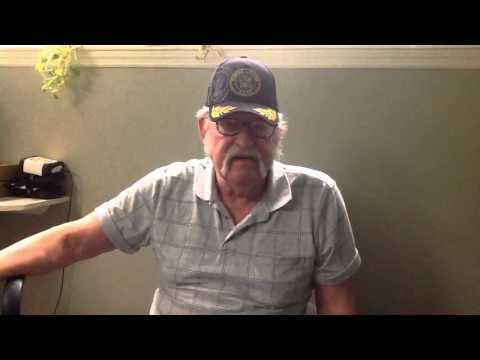 "I came into Fairview Chiropractic Center unable to walk or stand up on my own. I had debilitating pain in my lower back and my left leg was burning and almost completely numb. I had had this condition for approximately one month and 5 days. Prior to coming to Dr. Reilly I had gone to the ER and received pain killers, muscles relaxers and an injection…none of these relieved my pain. Through the patient care program Dr. Reilly tailored to my condition, using the most advanced medical treatment I had ever received, I can now walk and return to my normal activities. In addition to relieving my low back pain my appetite returned. I had quit eating because of the pain. The treatment also helped my emotional well being and my relationships with others. I should have come to Dr. Reilly as soon as my condition worsened. What a blessing he and his staff have been. Don’t suffer by waiting and putting off coming to Fairview Chiropractic Center. You will make new friends and the suffering will end." "Several years ago I injured my arm while in my yard. I figured it would heal quickly and didn’t take any action at the time. After several weeks went by, I went to my primary doctor and he told me it was still hurting because I probably had arthritis. He offered to prescribe pain medication, but I didn’t want to go that route. Over the next five years I would use a heating pad, and sometimes over the counter pain relievers to try to get some relief. Nothing seemed to work and over time I thought I would just have to live with the constant pain. And it was constant, almost four hours a day, seven days a week. /Finally I decided to try chiropractic treatment. I made an appointment at Fairview Chiropractic Center with Dr. Reilly. After an examination, he informed me what he believed the problems to be and that he felt he could be of assistance. He offered a detailed, time specific plan of treatment, and we began immediately. I continued as he prescribed, and with each visit I began to experience less pain. As a result of treatment I also began to notice my occasional neck pain was also getting better. My lower back, which I had not complained about also started feeling less stressed as well. By the end of my treatment plan I was absolutely delighted and thankful that I was pain free, just as Dr. Reilly had predicted !! I am so thankful for everything they did for me. I say “they” because it all began up front with patient caring and professional staff. They always treated me with kindness and understanding. I’m not trying to sound like an advertisement, but I feel the bottom line is this…if you are living with pain and nothing seems to be working, make an appointment at Fairview Chiropractic Center and see if your quality of life can be improved as much as mine!" Although I am not 100%, I am remarkably better. I can go through most days and forget I have a neck injury. I would tell others to try chiropractic if they are in pain. It does not hurt and there is something to it, not just some quack popping your neck and back. My experience here, starting with the friendly/caring staff and ending with Dr. Reilly, has been awesome. A truly professional outfit." For Wana, “most days it was hard to function.” Daily activities, including just getting out of bed, were difficult. In order to work, she had to be on constant pain medication. She could not sleep, was physically sick, was feeling depressed, and had no energy. 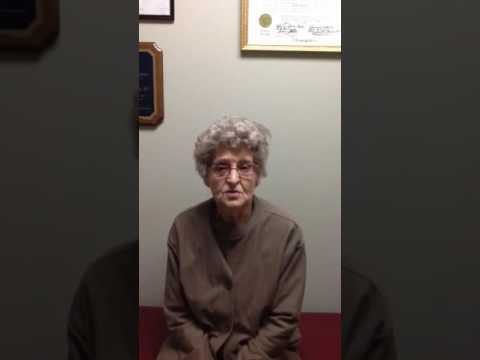 She states that if she had known that she would feel this good after seeing Dr. Reilly, she would have seen him years ago and recommends Fairview Chiropractic to anyone. Oscar was affected by his lower back pain when he walked. He reported his pain to be a severe and debilitating. He was referred to Fairview Chiropractic by a friend who suggested that the doctors there could help him. 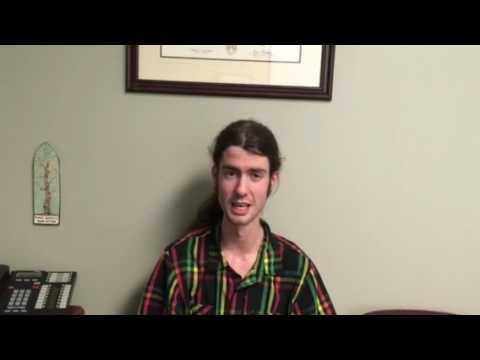 After receiving chiropractic treatment, Oscar reports his pain to be 95 percent better. Now when he walks, he reports "my hip and leg no longer hurts or feels like it is pulling in my hip." 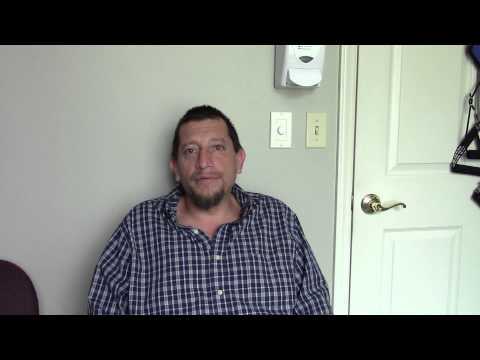 Oscar is thankful for the treatment that has helped him and would recommend Dr. Reilly and Dr. Sales to anyone who needs help with their pain. "I just want to say thank you to so much to everyone at Fairview Chiropractic for making me feel so great! The pain I was experiencing before I began chiropractic care was very intense and left me miserable. I was unable to find relief with my medical doctor and decided to give chiropractic care a try. I was suffering from a sciatic nerve problem and a bulging disc. My sciatic nerve problem wasn't a nerve problem at all it was an alignment problem. My right hip was so out of alignment that it was pulling on everything. After Dr. Reilly adjusted me a few times my pain was completely gone and hasn't ever come back! I suffered needlessly for years. Then I injured myself and as a result had a bulging disc. Most times this requires surgery to repair but Dr. Reilly suggested I try traction on the CTS machine. After 3 visits I could really tell a difference and with a few more I was once again pain free - without surgery! 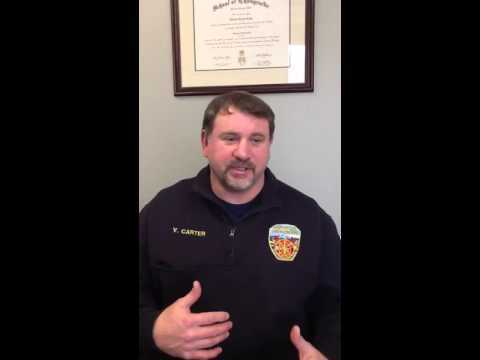 I really can't say enough about the care and help I have received from Fairview Chiropractic!" 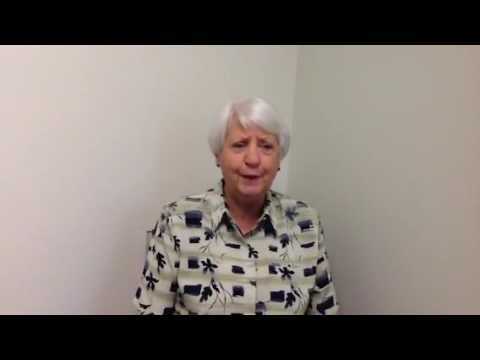 "I first began seeing Dr. Reilly in June 2007. I had first injured my back 10 years ago while I was working at a fast food restaurant. I saw a chiropractor then for several months and was diagnosed with a herniated disc. The pain was almost constant and got so bad that I was unable to dress myself, take a shower myself or even put my own shoes on. The chiropractor that I was seeing then was unable to provide any relief. The pain continued to get worse and I had to take a leave of absence from work. Eventually, with several months of bed rest, the pain subsided and I was able to return to work. Always in the back of my mind, I was worried that I would re-injure the same spot. Once I began working as a nurse, the constant pulling and tugging began to aggravate the old injury again. So in June 2007 I began to see Dr. Reilly to see if I could get some relief from the pain. I had the usual adjustments at first, followed by cold therapy and DTS (spinal traction). After the very first week of visits I already felt some relief. I believe the traction was what made the biggest difference. I have only been able to keep working because of Dr. Reilly. I still see him for regular adjustments and have told everyone that he is the real deal!!! I literally am only able to continue working because of him. No-one should ever doubt the power of true chiropractic to relieve pain and restore function." “For more than 50 years I have lived with much pain in my back. Through those years I have had many different therapies and medicines to keep me working through this pain. I eventually had surgery, which then caused me even more pain through the years. 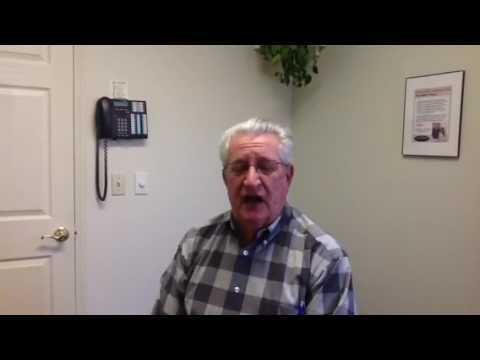 "I came to Dr. Reilly for excruciating back pain that was making it difficult for me to walk. I had the pain for approximately 1 ½ weeks prior coming in the office. Dr. Reilly adjusted my spine and manipulated my lower back – the next day I was pain free. I was able to walk a lot easier after the adjustment. I had previous back surgery in May 2013 and physical therapy on my shoulder more recently. I would highly recommend a consultation with Dr. Reilly. "The treatments I have received from Dr. Reilly’s office have relieved most of my pain in a very short time. I am now a 100% believer in chiropractic treatment. I was having back pain for about 3 or 4 months. It was so bad I couldn’t bend over to tie my shoes. I passed by the sign asking “got back pain – we can help” so many time before I finally stopped and I am sure glad I did. I had not gone to any doctor prior to Dr. Reilly, I just lived with it. After following Dr. Reilly’s treatment plan I feel wonderful. I can bend over and tie my shoes without pain. In addition to helping me with my back pain, I believe the whole experience helped my mental health as well. I would recommend seeing Dr. Reilly and his staff FIRST if you are having any pain. PS: “The ladies are wonderful”"
I had multiple pains. My neck, lower back and left knee. The neck and lower back have been a problem since the ninety’s. I had surgery on both locations of my spine with success, but everything wears out and I started having problems again in 2010. I lived with the pain or would rest to relieve it. I didn’t use medication or therapy.Since beginning treatment, my pain level is about a 1 or 2 instead of 7 to 10. My knee is almost free of pain; my lower back only occasionally has pain. My neck still bothers me but not like before. I am continuing treatment on it. I find I can go up and down stairs easily; I’m still taking things easy. I don’t want to push myself and cause the problems to return. 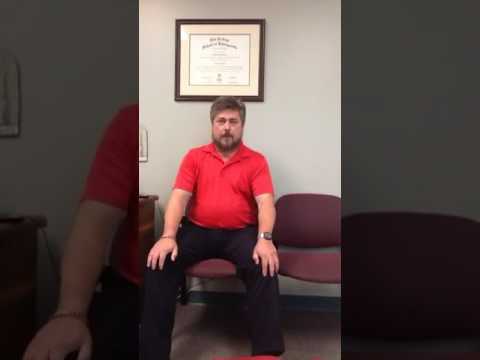 I do the exercises given to me daily and feel better and strongerIf you are in pain and want some relief, come to Fairview Chiropractic Center. They will help you get rid of the pain. All of the staff is friendly and concerned. Also, the massage makes you feel 10 years younger. P.S: They give you tests & homework. 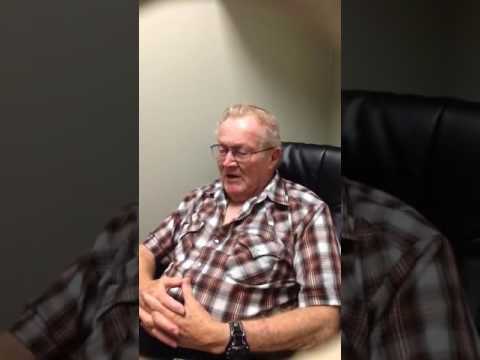 :)"
"I had been suffering with back and neck pain for approximately six months when I came to see Dr. Reilly. He recommended laser therapy, traction, heat, electric muscle stimulation and Graston Technique. After completing the treatment program designed specifically for me I am 100% better. In addition to my original complaints, my restless leg syndrome is completely gone. I would recommend Dr. Reilly and his staff, they are experts in getting the problems you have healed." "I had been suffering with lower back pain and numbness in my right calf for about 2 years. I read about Dr. Reilly and Fairview Chiropractic Center in an ad and decided to give chiropractic a try. I had already done the medical treatments of prescription drugs, injections and physical therapy and it did not help relieve my pain. Upon completing the treatment regimen Dr. Reilly recommended, my back pain is all but gone and I no longer have any numbness in my calf. I can now do anything I want without experiencing pain. 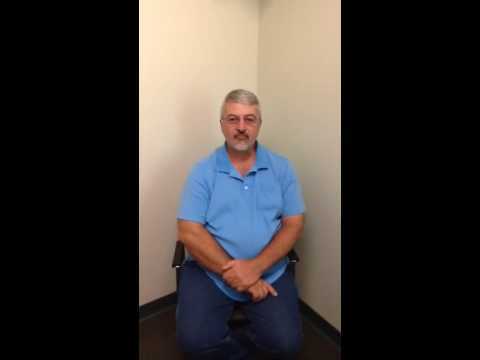 I have recommended many people with back problems to Dr. Reilly, it’s definitely worth trying." I am writing to thank you from the bottom of my heart for all you have done for me. First of all, after taking the x-rays you sat me down and showed me very specifically where my trouble spots were regarding my spine. You went over what your recommendations to correct the issues were. You were the only chiropractor who has ever done this for me, showing me on my own x-rays in detail what all was wrong. You were able to get me down to no pain in my spine, as well as helping relief the pain in my knee. You knew exactly what it would take to help me. Luckily, my husband and I saw an ad regarding Dr. Reilly in Fairview, NC. It took the least amount of time to get me over my back and knee pain. Your office is equipped with only the latest in therapy equipment. I will always be grateful for all you have done for me." 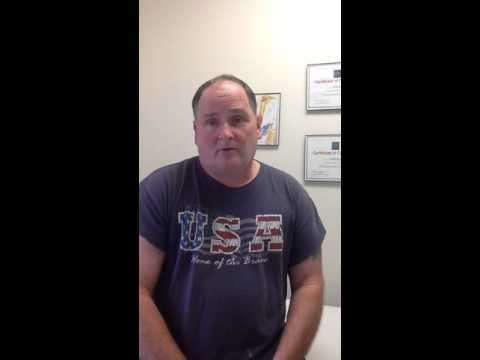 "I came to Dr. Reilly after suffering with lower back pain for years. I had experienced chiropractic years ago with good results but for some reason just continued to live in pain when this episode came on. My friends told me about how Dr. Reilly at Fairview Chiropractic Center had helped them and I decided to give the office a call. Dr. Reilly explained my condition in terms I could understand and laid out a treatment plan designed just for me. I followed the plan as he recommended and today I am out of pain. After my course of care I am finding that I am able to do thing that I previously could not do without pain; my house work, yard work and even brush my teeth. As an added benefit I find I have more energy throughout the day to do even more activities that I was limited in due to pain. I recommend anyone that is putting off getting care for whatever reason to pick up the phone and call Dr. Reilly and his staff, it is worth the effort." 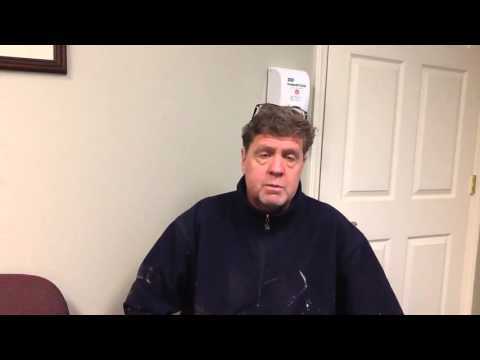 "I came to Fairview Chiropractic Center with pretty severe low back pain. I had been dealing with it on and off for the last couple years. I have missed work due to my pain. Recently I had gone the medical route, however realized it was not fixing my problem, just hiding my pain. I would absolutely refer Dr. Reilly and the whole staff at Fairview Chiropractic for anyone having my condition and a lot more." 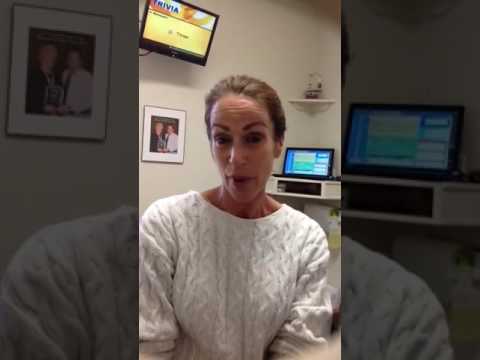 "Dr. Reilly's treatment on my neck saved me from having surgery that i would have had to have if i went to a surgeon. I had c5 c6 discs bulging. He treated me and i got to keep working. He used laser treatment and the dts traction and regular adjustments. Now i'm doing very well. I go in once a week now and i feel good. Dr. Reilly will fix you if you have neck pain! Go see the doc...He has magic hands!" "I was having a lot of pain in my left hip and thigh which prevented me from sleeping. It had been bothering me for a long time but was steady for about a month. 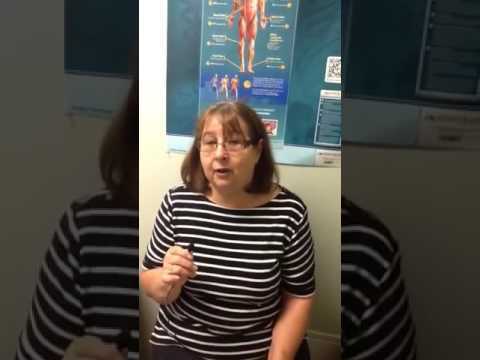 When I came to Fairview Chiropractic I was provided with an exercise plan to do at home, it has helped a lot. I also had a steroid shot for pain along with routine adjustments. My pain is much less and my core strength is better and my leg hurts less. My neck pain is gone. It used to hurt a lot when I would sit for a period of time. The treatment I received here was so relaxing and mostly painless. The staff, each and everyone, is great. You feel better just walking in the door." "I had a car accident a couple months ago. I hurt my neck and my back. I had been instructed to use and ice and I was taking aspirin for the pain. I came to Dr. Reilly after about 3 weeks of pain and discomfort. My back and neck are now in better condition than they were when I came to see Dr. Reilly. I am able to perform different tasks without my back and neck hurting. I would tell others that chiropractic care really helps. It helped me recover from my injuries in such a short amount of time." "Surgeon from ER referral: "..the ugliest knee I've ever seen...schedule replacement ASAP..." I was dumbfounded. Well--my knee WAS red, swollen to twice normal and very painful but I was looking for treatment to heal. Total replacement had not entered my mind. Next came panic. The swollen knee was not the only joint hosting arthritis. The other knee, back, elbows and fingers all complained - especially at night. Every joint couldn't be replaced. I had to find a way to live with this. Drugs were even less appealing than surgery. My husband (who fell 14 feet from a ladder 10 years ago, suffered 8 broken bones and has been helped greatly by Dr. Reilly) suggested I talk to Dr. Reilly before surgery. I was not sure of escaping knee replacement but hoped to at least find a way to deal with the rest. At this point I would grasp at a straw! Dr. Reilly did not promise the surgery would go away but did think it could be put off if I gave him some time. He would "do everything he could to facilitate healing". I would try this. The first treatment gave relief to knee pain as well as back and elbows! By one month swelling was down in the mornings-coming back about 1/2 during the day. In two months swelling was pretty much gone. I continue the daily at home treatment and exercise as Dr. Reilly instructed. For prolonged standing or walking I use a brace and occasional ibuprophen or aleve. My life is back to normal. Sometimes I forget I even have a problem. Always I am thankful to my husband, Dr. Reilly and God for this amazing blessing!" 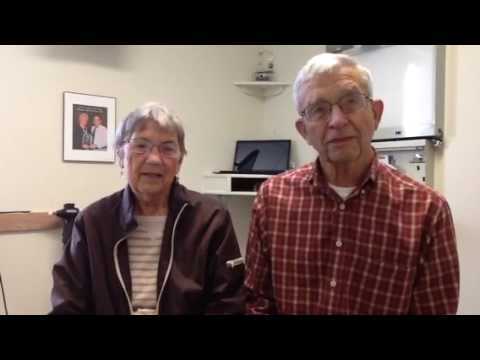 "I was told by my orthopedic doctor that I would need knee replacement. 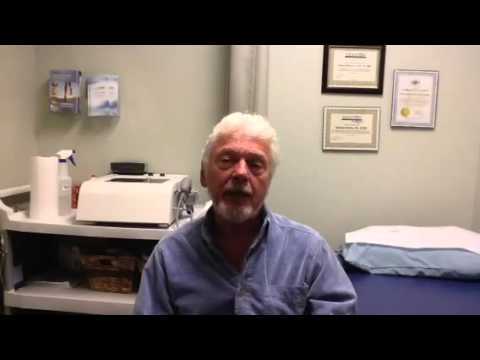 After trying Dr Reilly’s recommendation of Graston and laser therapy my pain is gone and I don’t feel I need surgery." 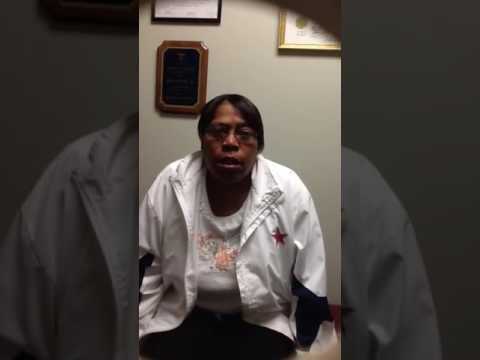 "Since Dr. Reilly has been treating me the pain I felt in my knee is gone! I wasn’t able to straighten or bend my leg for any length of time. It is easier to move my leg and standing doesn’t seem to hurt as much. The laser treatments and Graston therapy has worked wonders. Within 2 weeks of starting treatment, I have more freedom of movement and less pain. My family doctor had recommended physical therapy and to go to an orthopedic doctor. I was also prescribed pain medicine and they only dulled the pain. I chose chiropractic instead. I am also planning on seeing Dr. Reilly for a plan of adjustments for my back and hips. Before resolving yourself to facing surgery as the only option please see Dr. Reilly. With the laser, and especially the Graston therapy that he performs you may not have to have a surgical procedure." "I had a long history of knee problems, which included having to get shots in both knees every three months and dealing with radiating pain from my hip to my ankles on a daily basis. I took pain pills every day, three times a day, and had two arthroscopic surgeries. The next thing was to have a full or partial knee replacement. My wife was coming to Dr. Reilly for her knee problems. I came with her on visits and had questions for the doctor. Dr. Reilly took the time to talk with me. I was pleased with our conversation and set up an appointment to get started. The first thing was to have x-rays. When that was complete, we talked about what he could do to help me out. With heat and traction on my back and neurolumen (advanced laser therapy), it began to work. But what really helped was the Graston therapy (advanced myofascial release – used by pro sports teams). It seemed to work overnight. I started the ChiroThin Weight Loss program to help remove weight, help relieve stress from my joints and give me a better lifestyle. I am happy to say – It really works! 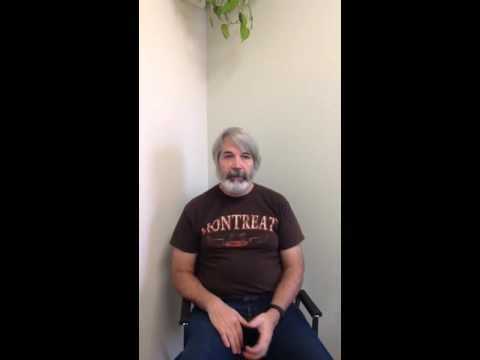 I am so glad that I came to Fairview Chiropractic Center and Dr. Reilly. I can now walk better and long with little or no pain. 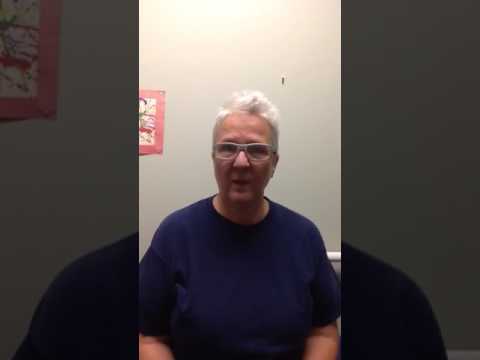 I have seen my orthopedic doctor and we have put off my knee replacement and I have not had shots in my knees in over 5 months. I take pain medication very seldom now. Dr. Reilly has given me hope that I will not have a knee replacement in the near future. A big thanks to Dr. Reilly and his staff! They made me feel as if I was a part of their family. 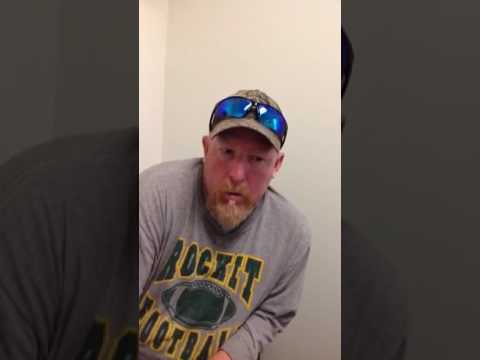 "I am 72 years old, and a track coach for Reynolds High School. 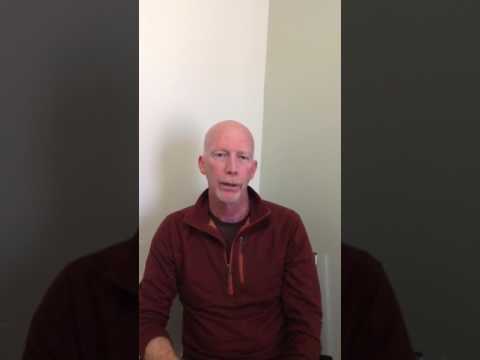 My experience with Dr. Reilly at Fairview Chiropractic Center was outstanding and highly effective, and his treatments of my feet for tingling and numbness really worked. Today the amount of discomfort and numbness is almost totally gone, and this is a direct result of Dr. Reilly's expertise. The staff at his center are wonderful, very caring and professional as well. I cannot recommend Dr. Reilly enough!" "I am a 72 year old physician with Type II diabetes. I have had a problem with my feet for 6 years with neuropathy. Bad orthotics caused a breakdown in my left foot with infection, pain and swelling. Antibiotics, local care and acupuncture healed my wound but left me with increased neuropathy, swelling and severely limited my exercise. In as much as I use diet and exercise to control my diabetes, this was a bad problem. 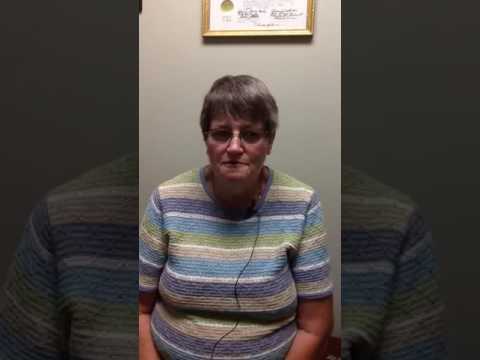 I was seen at Fairview Chiropractic Center, evaluated and a treatment course of 16 treatments including Class 4 laser, manipulation and Graston treatments to my feet, ankles and calves was prescribed. After 5 treatments I am walking and exercising pain free and my neuropathy is reduced by 60 percent. 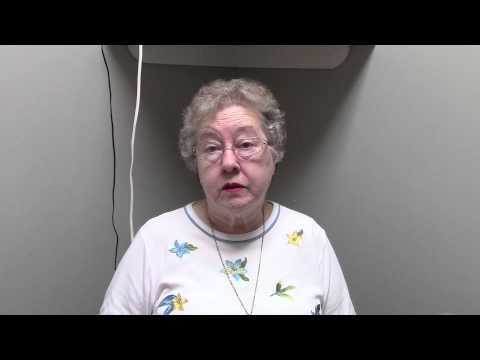 I would recommend Fairview Chiropractic Center to anyone with my condition." 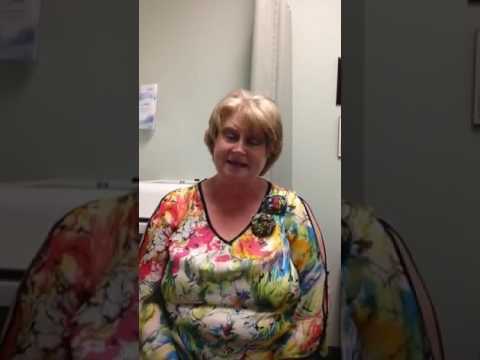 "I am a longtime patient of Dr. Reilly's. I have been treating on a maintenance basis for some time when I started to experience a shoulder problem. It began gradually and eventually I couldn't lift my arm above my head. I was in constant pain and in an attempt to avoid surgery I came to Dr. Reilly for his recommendations. Dr. Reilly used the Graston technique and Class 4 laser to treat my shoulder. I felt relief after the first treatment. I would 100% recommend trying this treatment before considering sugery. " 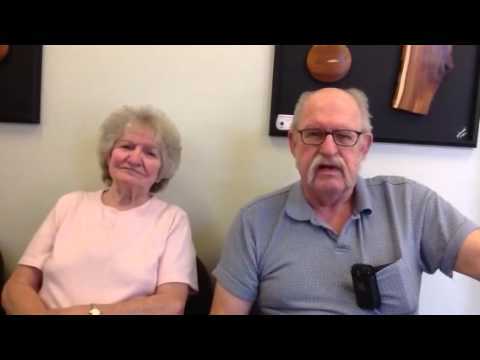 "I am so grateful to my daughter-in-law, Vicki, for referring me to the Fairview Chiropractic Center. 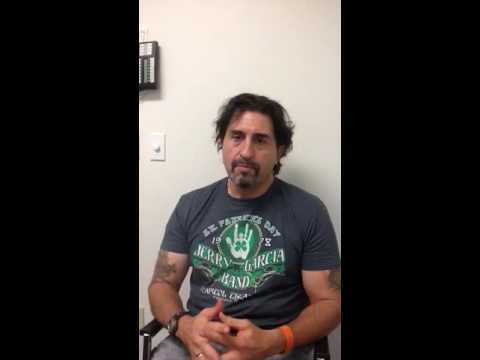 Three years ago, I was diagnosed with spinal stenosis and had therapy at Care Partners. This helped for awhile, but it gradually got worse. It hurt to even sit down or bend over and I could not stand in one spot very long or walk very far. Now I am able to perform my normal household tasks, plus participate in activities that I love, including walking around quilt shows, the fairs, and attending a rodeo. I no longer have that nagging pain in my hip that I endured for so long. This gives me a more optimistic look at life. I would and have recommended the chiropractic care to other friends. Thank you to a wonderful, caring staff and Dr. Reilly." 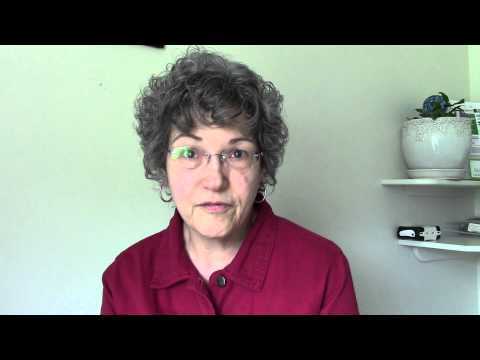 "Last fall my family physician ordered an MRI of my back. When the results came back she referred me to a spine surgeon. He recommended a 4 to 4 1/2hour surgery to repair stenosis and remove bone spurs, and then he would fuse the bone fragments to build up my back then place rods to hold everything in place. I choose not to have surgery so I have continued to suffer severe back pain with neuropathy down both legs, worsening for the last six to eight months. 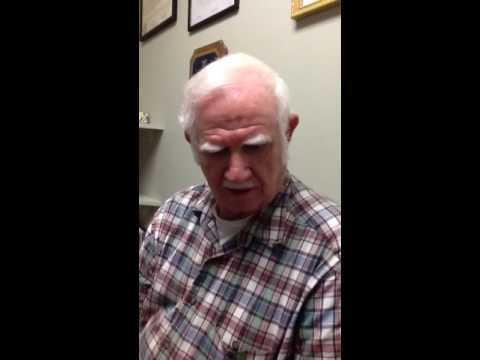 In June of this year God allowed and blessed me to learn of Dr. Reilly and his Chiropractic Center. I immediately made an appointment to find out if he could help me. When I saw Dr. Reilly, after x-rays and examination, he told me he could help me and gave me 70-100% chance to be helped without surgery. I began treatment of realignment, laser therapy, traction, heat treatment and Magnetic Resonance Therapy, which is amazing. All these treatments have given me my life back. I am now smiling, feeling much better and able to enjoy life again. It is a joy to arise in the morning knowing a much better day is ahead, whereas it was hard to face each day, even with pain medication that did not give me much relief. I thank God everyday for Dr. Reilly and his wonderful staff. I also want to thank my wonderful husband for driving me to my appointments and patiently waiting for me to have my treatments." 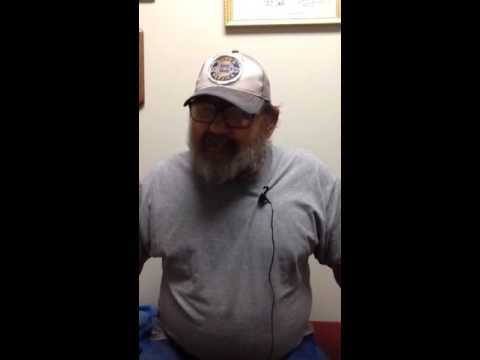 "I am being treated for Spinal Stenosis. Before coming to see Dr. Reilly I had injections to eliminate the pain for 3 months or more. They did not work. Surgery was mentioned but I wasn’t ready for the long surgery and lengthy recovery. I saw an article for in the newspaper about what Dr. Reilly could do for stenosis so I called for an appointment. After a round of treatment: laser therapy, traction, magnetic resonance therapy and heat therapy, weekly for several months my pain was gone. I had 2 years mostly pain free with just one set back. After a month of weekly treatments, I am once again on a once a month regimen of traction and adjustment plus my daily exercises. 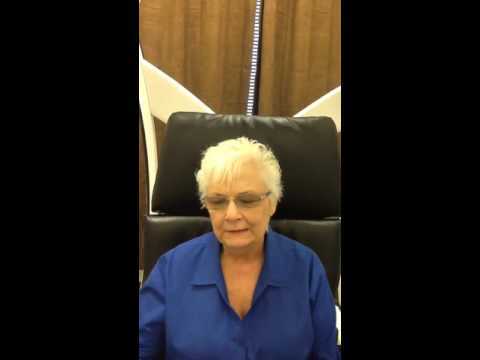 "I have suffered with neuropathy in my feet for the past 2 ½ years. I was initially prescribed Neurotin by my medical doctor; however I was not able to take it due to the side effects. The medication made me feel anxious and strange. After only 3 neuropathy treatments I noticed the feeling in my feet and legs improved and I had less burning in my feet at night. I have been seeing with Dr. Reilly for many years. Eight years ago I suffered with sciatica and was scheduled for hip surgery. I was in constant pain and Dr. Reilly was able to keep me comfortable prior to the surgery. I have seen him for maintenance since that time. My advice to others is to START with chiropractic care after a diagnosis. In many cases it may be all you need. At 71 years old I feel great!" "I had low back pain that got worse with pregnancy. After treatments, my third trimester of pregnancy was free. My treatments after delivery really helped as well. I didn’t think you could get chiropractic treatments during pregnancy but by all means do it. Chiropractic helped give me a wonderful pregnancy." 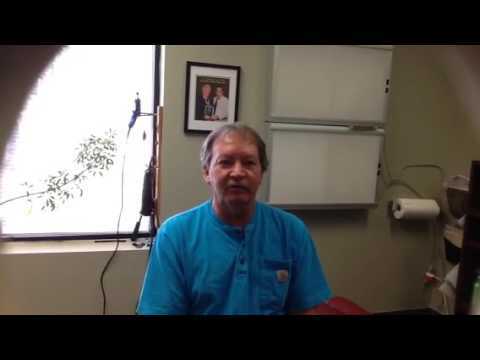 "I came to Dr. Reilly after suffering for 3 or 4 months with shoulder pain. I could not raise my right arm to do anything. The pain was severe and it was so bad that I couldn’t get comfortable enough to sleep at night. 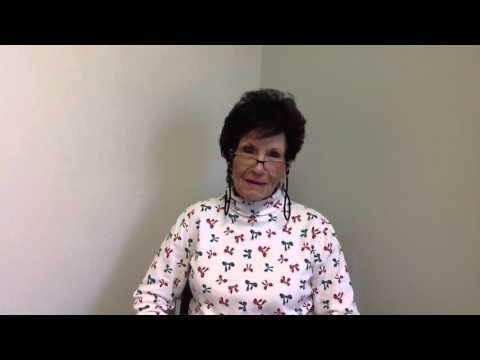 Dr. Reilly recommended therapy that utilized Class 4 laser and Graston Therapy. After several treatments I am able to raise my right arm and use it anyway possible without pain and I am finally sleeping much better. I have also noticed that pain I was experiencing in my neck is less. I would recommend that any one suffering with these symptoms try chiropractic at the first sign of pain and not wait for it to go away on its own like I did. You have all helped me get my life back and let me to the things that I need to do and enjoy life again. Thank you so much!" "I was having balance problems with I was doing water aerobics. I realized that I didn't have any feeling in my feet and couldn't stand on one foot for very long at all. Due to diabetes, I had been losing feeling in my feet over the last 2 years. If I touched my feet with my hand, they were ice cold; otherwise, I could never tell. I told my medical doctor about my feet but he never suggested any treatment. The treatment that Dr. Reilly recommended have made a big difference in my life. My toes now have a pink color instead of looking gray. My feet are rarely cold now but when they do get cold, I can feel it. I have told others how much this has helped me." 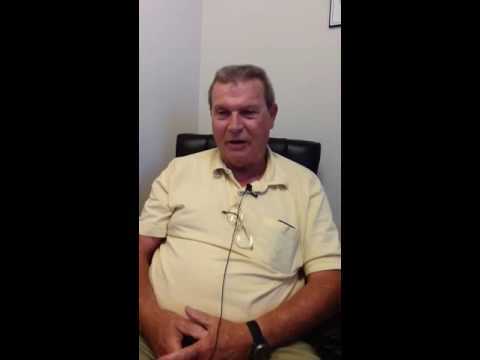 "I came into Fairview Chiropractic Center with chronic knee pain following surgery. I’d been in pain for 6 years! I’d tried surgery and physical therapy, and nothing helped. After undergoing treatment 2 times per week for six weeks, my pain has diminished completely. My knee feels back to normal, and I have better mobility overall. If you’re skeptical, I suggest you give the therapy a chance. You will be pleasantly surprised! I am back to completely normal functioning, and have stopped avoiding physical activities that previously were too painful for me." "I had chronic pain due to fibromyalgia, migraines and arthritis for over ten years. I tried physical therapy, saw orthopedists and rheumatologists and was in and out of hospitals. I was taking a long list of medications. Today I am pain free and off almost all my medication. I have more energy and feel like I got my life back. Chiropractic worked like nothing else ever had." 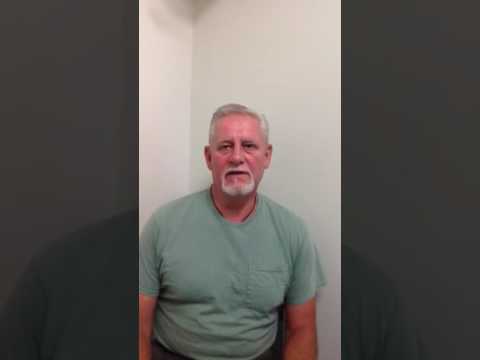 "I came to Dr. Reilly with heel spurs and plantar fasciitis. I’d been struggling with the pain for over three months before finally making an appointment. I received laser, Graston, and acoustic wave therapies. My pain level, as well as my ability to walk and exercise, have all improved dramatically! I would recommend that anyone with a similar problem come to see Dr. Reilly and his staff. " 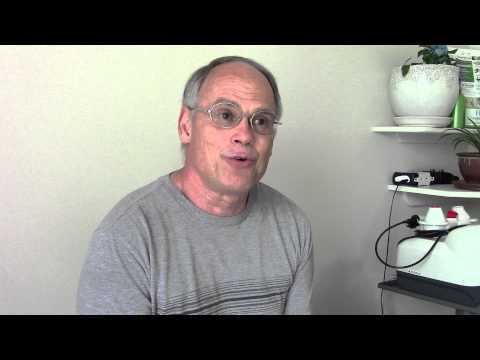 "I have been suffering for several years with neuroma in my left foot. I had a cortisone shot, which worked for about 6 months. The pain then returned, worse than ever. After coming to Fairview Chiropractic Center, where I received laser therapy, Graston therapy, and new orthotics--the pain is gone! I would recommend these treatments to anyone. They last and are non-invasive, unlike shots and surgery." "I have been struggling with foot pain in both feet caused by plantar fasciitis and bone spurs. I’d gone to a podiatrist but did not get any relief. I was unable to walk and complete my daily work. After receiving laser, heat, Graston therapy, acoustic wave therapy, kinesio tape, ice, and receiving instruction on exercises, I am now able to complete my daily life tasks without pain. I also got instruction on using nutritional supplements that helped my overall energy and health. In addition, I am also sleeping better. I would definitely recommend the natural methods found at Fairview Chiropractic Center as opposed to surgery." "I had constant headaches from the back of my shoulders to the top of my head for three years. I was taking 6-8 pain pills a day. My blood pressure was high and wouldn’t go lower even though they tried six different medications. I saw an orthopedic specialist and internist and tried drugs and physical therapy without relief. Dr. Reilly found my problem right away. My headaches were gone in two weeks and my blood pressure is back to normal. Please don’t put off going for help! Doc Reilly has been a miracle to me." "Due to a fall on ice years ago I now have arthritis in my hips and back. Thanks to chiropractic care I can walk without pain and stiffness." 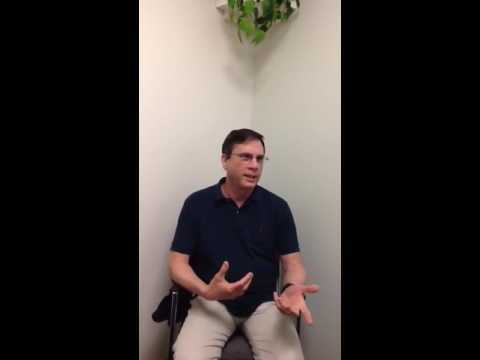 "I came to Dr. Reilly with low back pain caused by a herniated disc at L5. I have a history of back surgery and I wanted to avoid another. 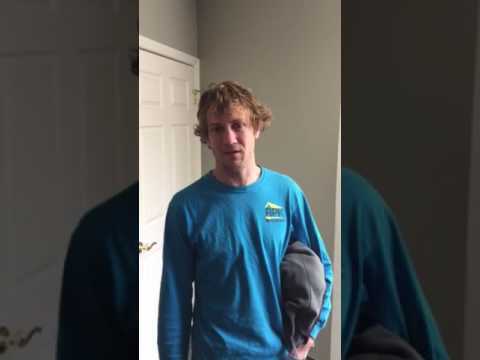 Previous treatment for this problem prior to coming to Fairview Chiropractic Center included prescriptions for muscle relaxers, pain medications and heat therapy. After Dr. Reilly’s recommended treatment my sciatica has improved and I have improved sensation and movement in my right foot. In addition to my original complaints , my posture has improved a great deal, which has helped my pre-existing neck pain. I would highly recommend Dr. Reilly. He has treated me aggressively and I have been able to avoid another surgery." 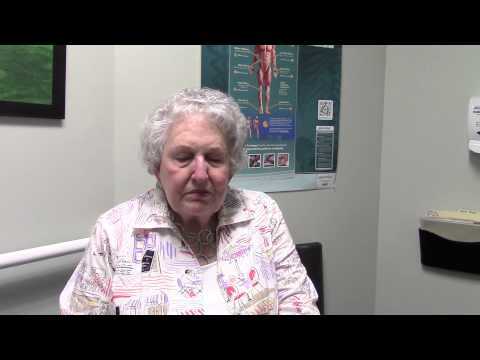 "I slipped and fell and ended up with a slipped disc and nerve pain. The pain was so severe that I could not stand or walk and Aleve was not helping. After just one month of being under Dr. Reilly's care, I am no back to feeling and moving normally. My posture has even gotten a lot better. This type of care is far superior to drugs and/or surgery. It is also more permanent." 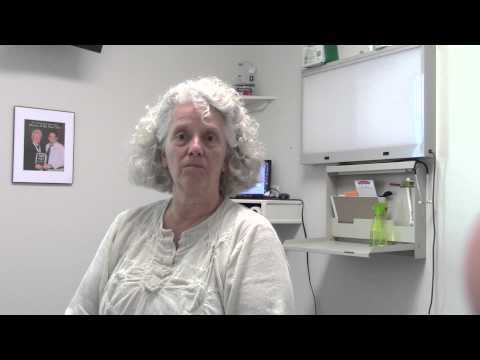 "I was having trouble with a combination of sciatica and periformis moderate to severe pain. 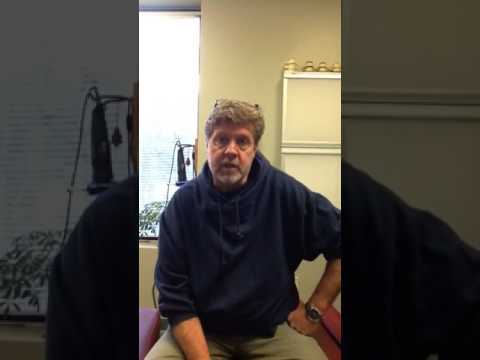 I had suffered for at least 3 months before coming to see Dr. Reilly at Fairview Chiropractic Center. After following Dr. Reilly's recommendations the pain has been reduced to a very dull ache. In addition to my initial problems, I had orthodics made to relieve a foot condition that Dr. Reilly discovered during my care. I would absolutely recommend any one who is suffering with similar conditions to seek care with the Dr. Reilly." "My lower back and hip pain began a little over a year ago when I was pregnant with my daughter. I saw a chiropractor while I was pregnant, but unfortunately I did not continue after the delivery. Over the course of the year I experienced extreme lower back pain, hip pain, and my left leg would go numb. I was not able to stand, sit, or drive for long distances because I would be in so much pain, to the point the I could not go from a sitting to standing position. I was not able to interact with my daughter at all in the afternoons after I got off work. I work 40+ hours a week and I am constantly on my feet. It got to the point where I could not full complete my job duties. I first heard about Dr. Reilly from my husband, who had slipped a disc and was receiving care. I decided to make an appointment and I am so glad I did. The office staff was so friendly when I arrived and truly took the time to make sure I got all my questions answered. Dr. Reilly sent me to Open MRI for x-rays and I saw him the following week. I had some nerve damage from the delivery of my daughter and slightly slipped disc. I underwent 12 sessions, twice a week, of electrical muscle stimulation, traction, and adjustments. After the first session I could tell a difference. I am definitely a different person now – a better person/mother/wife now that I have seen Dr. Reilly. I can sit, walk, stand, run, and work without being in pain. I can now take my daughter to the park and play for hours without having to stop because of pain. For this I will be forever grateful to Dr. Reilly and his staff. I would recommend anyone to go see Dr. Reilly and his staff." I just want to thank you for the amazing opportunity you have given my sons with the neurofeedback trial. Both of my boys have ADHD and ODD. My younger one also has lots of issues with anxiety and emotional outbursts. These issues really began surfacing with the onset of elementary school. The ADHD and ODD behaviors got increasingly more noticeable and difficult to handle moving into about 3rd grade for both boys. Over the years we have sought out traditional psychotherapy, medication management, intensive in-home therapy, art therapy and day treatment programs. Although we have at times had minimal success with these, the improvements have not been long term, I would say minimal at least. My oldest son has had an awesome turn around in the classroom setting. While he was a distraction to the class last year by tapping, up out of his seat, unorganized and constantly blurting out, this year has had numerous office referrals declaring him a “model student in the classroom”. He has amazed by his new-found ability to stay focused, stay on task, and assignment completion. My younger son has had an improvement in the length and intensity of his outbursts, which I am now told has more to do with his anxieties than his anger. His episodes tend to be shorter and he is much quicker to process and apologize. I have also noticed a marked improvement during homework time on ability to stay focused and a much improved actual task completion time. As a mom I have thrilled with any improvements. The successes that my oldest son has had have so far exceeded my expectations. I look forward to seeing their results with the continued neurofeedback therapy with both boys. 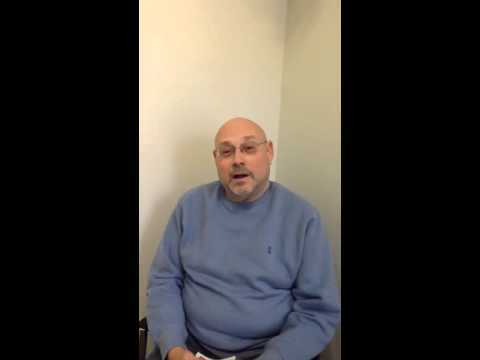 "I had headaches, neck, shoulder and low back pain from an automobile accident. I saw an orthopedic surgeon. I tried medication and physical therapy without relief. My severe pain is gone and I’m still getting better. 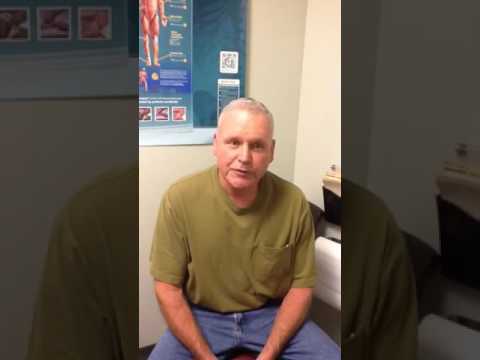 Don’t put off going to a chiropractor, I have gotten wonderful care with Dr Reilly." 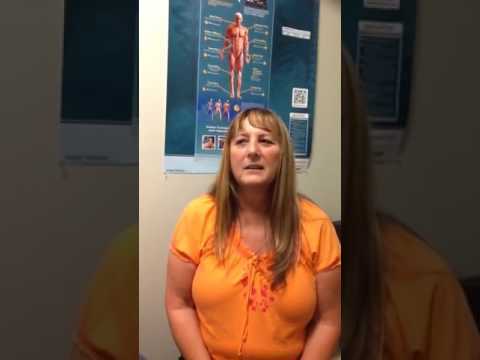 "I had muscle spasms in my neck and low back for five months as a result of a car accident. I have been helped in every way. My back and neck no longer give me any problems." 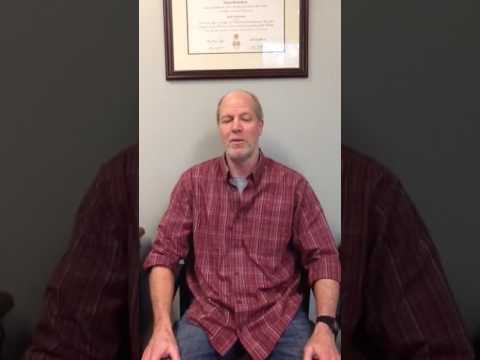 "The best chiropractic center in western NC!" "The staff is always friendly and efficient. Whether I am in need of an adjustment, treatment for a pulled muscle or help with orthotics, Dr. Reilly always finds a cure! Thank you for all that you do to keep me healthy and pain free!!" "Always a helpful and friendly experience, from the front desk greeting to Dr. Reilly's welcome assistance! My regular 'tune-ups' keep everything aligned and flowing, and I always feel better after a visit!" "Everyone in the office is always so friendly and helpful. Dr. Reilly takes the time to give thorough adjustments and explanations of your condition and the appropriate treatments. Thank you." "I have given a good review to my yoga students, and they shared that I would certainly use you all again." "Really enjoyed the experience, but best of all, I feel great." "Dr. Reilly provides what is needed in back adjustments." "I appreciate all the assistance and care over the years and I know I can count on you when/if I need you in the future. Thanks." 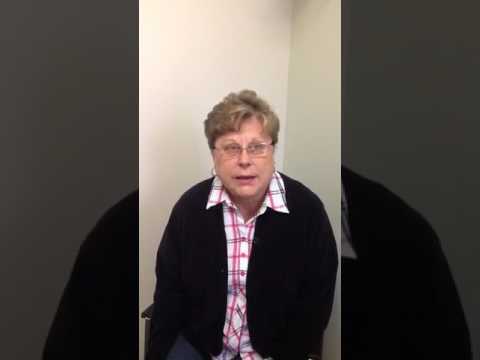 "I had carpal tunnel syndrome, sacroiliac and hip joint problems for months. I tried physical and occupational therapies, drugs and other chiropractors without much success. Dr. Reilly’s approach is very gentle and chiropractic care has prevented me from having carpal tunnel surgery." 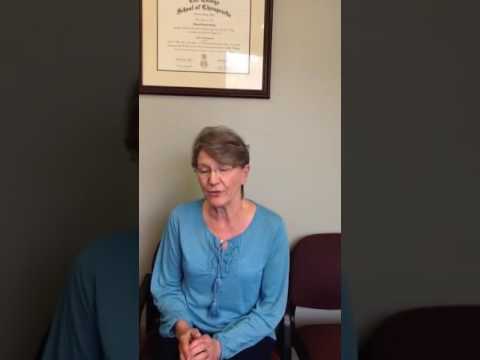 "I have known Dr. Reilly for quit some time , I have a degenerative disc, that flares up time and again, when it does I make an appointment and he fixes me up. I have a physically straining job that doesn't allow me any down time, that is why I use Fairview Chiropractic. They are a state of the art facility and the staff is extremely efficient. I recommend them highly. Best chiropractic care I have ever experienced. Dr. Reilly gave me a window of time and it was exact for relieving pain and limit of motion. I would highly recommend him. He has a very caring attitude and does exactly what he says. His office is the best and always makes me and my family feel welcomed. Always professional and caring. When I first sought treatment I could not bend my neck all the way back - I can now. Dr. Reilly offers a variety of treatments and when used in combination it works." "I've visited several different chiropractic clinics over the last several years looking for relief from back pain. I had minor successes and continued to live with pain on a daily basis. I don't ever write reviews but I felt compelled to write one for Ed. He has changed my life. Not only has his work been amazing but his bedside manner is professional and caring at the same time. Couldn't give a higher rating. Amazing!" "We love the care and specific consideration given to us by Dr. Reilly and his wonderful staff! Dr. Reilly has helped both my husband and me to recover from injuries and to stay healthy. We love seeing Dr. Reilly every month or so to check our alignments and adjust whatever that month's living has affected." 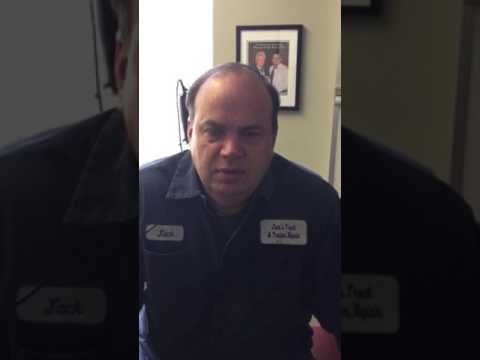 "After back surgery a few years ago, and a re-injury, I didn't know if I would every sneeze again without sever lower back pain. With the expertise of Dr. Reilly, and his different modalities- I was almost 100%. Thank you for everything you do!" "I have had 37 parachute jumps, two ejection seat training shots which in turn caused me to have two back surgery's. 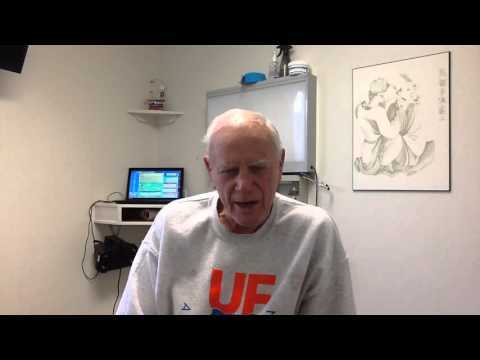 I still had severe back pain which Dr. Reilly has reduced considerably." 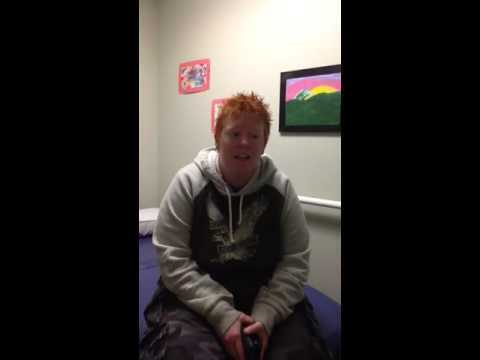 "I was in terrible pain when I went to Dr. Reilly. he helped me so much. Now I have learned how to manage my situation." "Everyone is very professional and friendly. The treatment has made a great difference in my ability to participate in the activities I enjoy." "You have always been great to me and all the people I have referred to you!" "Dr. Reilly and staff are great."